Are you bored with traditional, everyday games? Do you like to play games that challenge your intelligence and require you to think outside the box? Well, then Impossible Quiz is the game you definitely need in your life. 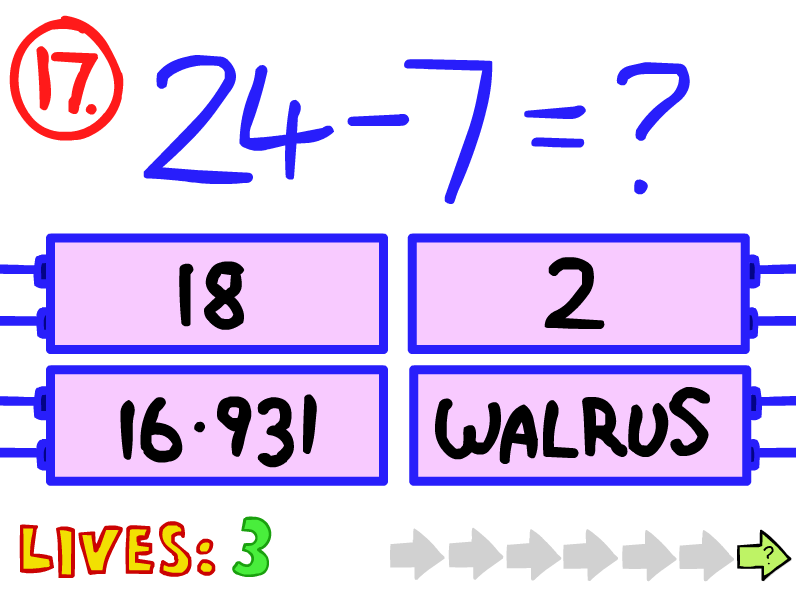 Impossible quiz is an online game that may resemble other quiz-based games, but believe me, it is much more than that. We have all played quiz games, and the more you play them, the more boring they become. It is quite the opposite with Impossible Quiz, the game is so addictive that it should have a warning label. What makes this Impossible Quiz great is not its powerful graphics or awesome animation but the unorthodox thinking of developers and great sense of humor. This game doesn’t take you too much time, but it’s also a game where “I’ll give it one more shot” can turn in a few hours of playing. Simplicity and out-of-this-world creativity are the things that will make you fall in love with Impossible Quiz. The “how I did not think of that” moment is pretty frequent. The feeling of getting some answers correct at your first try is very rewarding. If you have a computer made in this century, web browser, at least one finger, and somewhat functioning brain, you are pretty much good to go. You can play this game anytime anywhere, just type Impossible Quiz in your browser, and that’s it. It is a click-based game, so there are no complicated controls, just start clicking and enjoy. The game is really user-friendly and learning curve is almost nonexistent, all actions come to you naturally. Impossible Quiz Unblocked Version is a great game with almost no requirements. It’s free and fun (those are pretty much the two best things on the Internet). So, give it a try. The only thing you have to lose are just a few minutes, but you will get hours of fun. 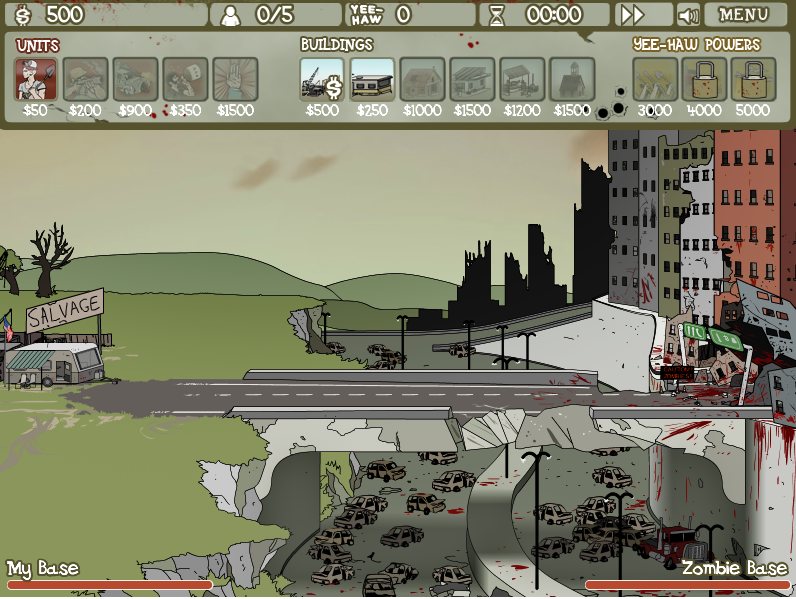 Only a frail bridge separates your base from the zombies who will take over your kind! What will you do? As the Zombie Trailer Park master, you send your trailer park boys of course. Gameplay is fairly easy and quite addicting. Tap on your men and let them attack the incoming zombies! The goal is to get their base down – before they do yours. 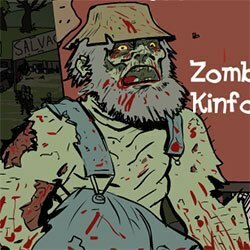 But before you can even get to the zombie headquarters, you must defeat the swarm of zombies taking over the trailer park. As the game progresses, recruitment improves. As you build more cash, you are able to make more shelters and recruit better as well. Take your pic from angry farmer, survivalist, moonshine bomber, or the notorious preacher man. If all else fails, you can always rely on your “Yee-Haw!” for that extra power up. There are 3 more levels to unlock in this game. That is, if you survive! Just tap your desired ally and watch them attack those zombies! More allies mean more shelters to build so the trick is balancing your trailer park with your trailer park boys and their friends. After you have destroyed the zombie base in Stage 1: Early Dead, Early To Rise, you will unlock the next stages and their very inventive names such as Stage 2: Kick the Dead, Stage 3:Nothing Brained, Nothing Ventured and the final Stage 4: Dead Walks,Trash Talks. The game’s graphic interphase simple but the gameplay is straightforward and can lead to hours of fun and incessantly tapping. It has that nostalgic vibe of Walking Dead meets League of Legends but on your phone. The game is slowly gaining a lot of recommendations. And why wouldn’t it? It’s a zombie game, people! The game can be downloaded in iOS (iPhone and iPad) or can be played via a web browser for free at official website also you can play Boxhead zombie game at the official site.